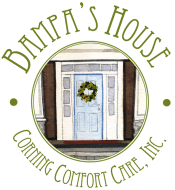 The committee to establish a comfort care home called Bampa’s House in the Corning-Painted Post area has announced that they will be sponsoring a 5K run/walk on Saturday, September 9, 2017, at Craig Park in Painted Post, NY. The purpose of the race is to raise money for Bampa’s House and celebrate the life of Jim Dugan, the namesake of Bampa’s House. Jim, who was called Bampa by his grandchildren, was a life-long resident of the Corning-Painted Post area, spending his career at Corning Community College, volunteering through the Lions Club, and facilitating beer tastings at The Site.